Adapting to hearing aids can be an overwhelming life adjustment. 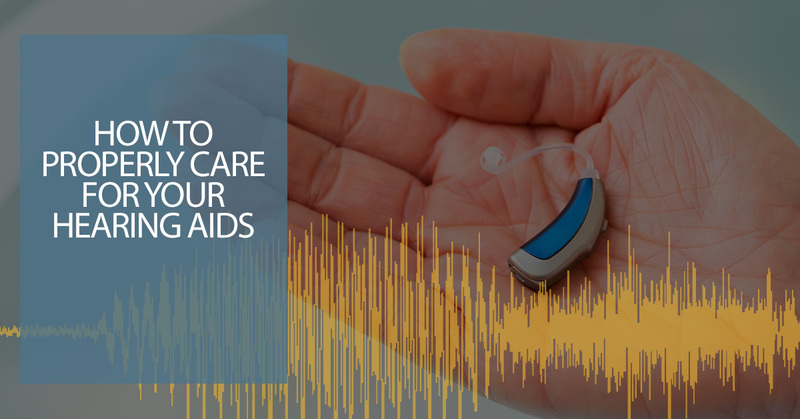 Fortunately, you don’t have to go through that adjustment alone, and in this blog post, we’ll provide you with some tips to keep in mind when properly caring for your hearing aids, ensuring they last you long-term. So if you’re new to hearing aids or if your previous audiologist did not adequately inform you on how to take care of your hearing aids, you’ve come to the right place. Audiology Innovations has two audiology offices located in Calgary, and we offer an array of services related to hearing loss and hearing aids. We have more than 15 years of experience working with individuals with hearing loss, and our staff can provide assistance and necessary educational resources regarding hearing aids. Need professional help from an audiologist in Calgary? Schedule an appointment with us today. Continue reading below for our instructions of how to properly care for your hearing aids. According to data from the Canadian Hearing Society, about one out of every four Canadians report having some extent of hearing loss. On top of that, according to research from the Hearing Foundation of Canada, only about 20 percent of those individuals actually invest in and wear hearing aids. Initially clean your hearing aids with a soft cloth or tissue. Most hearing aids come with a brush and pick, which can help you eliminate any excess wax off your hearing aids. Store hearing aids in a safe, dry place. Keep your hearing aids out of the reach of pets and/or small children. When you’re not using your hearing aids, leave their battery door open to help preserve battery life. Avoid getting your hearing aid wet at all costs. Take out your hearing aid when you bathe, sweat profusely or go swimming. Always be aware of where you place your hearing aids. Oftentimes, hearing aids can end up in your washing machine or garbage can when you’re not careful. If your hearing aids have filters, check on these about once a month. Have your hearing aids tested by a professional about every 18 to 24 months to ensure they aren’t having any issues — and to fix them, if they are. Keep realistic expectations about your hearing aids. They have many benefits, but they, unfortunately, do not completely restore normal hearing. Keep in mind these are basic care tips in regards to hearing aids. If you have any further questions about how to make sure your hearing aids last you for the long run, contact our staff members at Audiology Innovations today. If you believe you could benefit from the help of an audiologist or hearing aids in Calgary, reach out to our friendly and knowledgeable staff at Audiology Innovations. We started our business back in 2005 with one simple goal in mind: to change people’s lives. Sometimes, all it takes is a hearing evaluation or hearing aids to do just that. For more information or to schedule an appointment with one of our qualified staff members, please reach out to us by calling (403) 252-4722 or by filling out our online form. We look forward to helping you with your hearing needs!